This is a post that I’ve been wanting to do for a while. We’re still on green, but these greens aren’t vavoom greens or saturated greens. They are very subtle greens. In fact, except for one, none of them are called “green.” Most of them are called “gray.” And while they all certainly have gray in them, when up on the wall, most of them are unmistakably green. And these are the most calming soothing greens of them all! I thought… piece of cake. I’ll just rattle this post off in no-time. (no-time is about 5 hours). Noooo, nothing like that. And no. I’m not going to tell you how long it took me to produce this post because you’ll think that I’m some kind of nut-job. Let’s begin with the color that says “green” which really looks like a warm brown. However, up on the wall, the green undertones begin to pop out. I’m going to be honest. I’ve never used this color and quite frankly, when I look at this color it doesn’t do much for me. This just happens to be one of Bunny Williams’ favorite colors. The room above is her office and her library is also painted this color. I would describe it as a toasty golden brown with gray-green undertones. Bunny says that it’s a fabulous backdrop for art and she loves pairing it with turquoise and other bright shades. Therefore, I am going to trust her that this color is much more than meets the eye! This is from another page I saved. Mine looks like something the dog dragged in, but I found this one online. This is from my old home. Our small north-west facing den, with a huge hill blocking even the sunset. The color it ended up being was me mixing about 4 cans of left over paint. haha! However, it is almost identical to spring bud. This color, I have used a few times. You’d probably run right past it on the fan deck, but up, it’s the prettiest pale celery green. It has just enough gray and brown to keep it from looking minty and sickly. 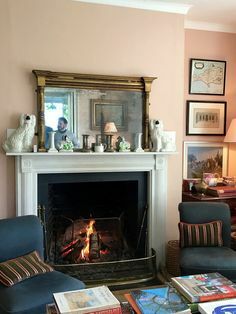 Another exquisite Cathy Kincaid room. I’ve used richmond gray a few times. It’s a rich khaki-green that looks wonderful with wood tones. Alright. I cheated. 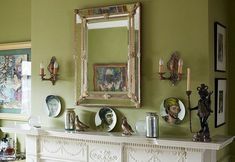 This image is from Farrow and Ball for their French Gray. That’s a nice color too. But since Benjamin Moore has sooooooo many of these colors, I thought I would stick with them. Below is another image I found using Nantucket Gray. 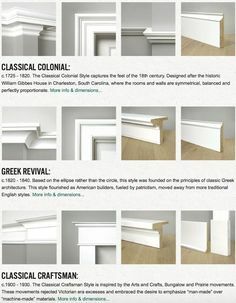 At least half the colors I specify are HC – the Historical Colors from Benjamin Moore. There are only 174 of them and most of them are wonderful! I saw Nantucket Gray in someone’s kitchen about 15 years ago. I think it was a friend of my son. It’s a great color and definitely goes up greener than it looks on the chip. This is a classic sage that has a good amount of gray in it. Light greens can easily go minty, icy and hospital-ly. They need some brown and/or gray to be rich. So, if it looks kind of muddy on the chip, it’s probably going to be glorious on the wall. But again, please test your paints! Fabulous bedroom by McAlpine Booth and Ferrier. Anyone else notice that the painting seems to be stuck onto the face of the mantel? lol It definitely makes the room, but can’t quite figure out what’s going on there. Photoshop? If you want to see more of the wonderful (aka: badass) :] Bobby Mcalpine / Tankersley / Booth / Ferrier it’s all there in the link. I used this color 10 years ago (I can’t believe that it’s been that long!) for the same client with the carpeting debacle, but 8 years later and another home. I do have a photo that was in Westchester Magazine, but the colors are so off, it’s pointless. This color is way cool, however. On some walls it looks gray and others it looks green and sometimes it looks more bronze. It’s very, very handsome and looks great with art and wood tones. Well, I’m pretty greened out paint-wise, but the trees ARE starting to bud, the forsythia is in bloom. Better stock up on some allergy meds! I want to thank you for your wonderful blog posts. My Mom is moving to a new home after my Dad passed. Its her first place she bought on her own and we all want it to be special. We carefully looked in all the posts you had on color. Very helpful. She decided on Desert Twilight for her study. The new house is very modern and bright, in the desert, except the study which is different and more of a haven and retreat as contrast. 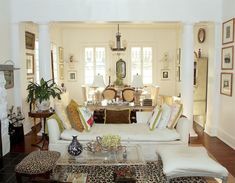 She has antique prints in cream and white, very similar to the photos you showed. This color will be perfect, and we are grateful for all of your kind assistance in describing color and sharing your knowledge. Sorry to hear of your Dad’s passing. How lucky your mom is to have you helping her. Thanks so much Beth! There are soooooo many great greens! This is the problem. (if that indeed IS a problem. lol) And I haven’t even touched on the greens veering towards blue. But that’s a completely separate deal because it encompasses turquoise and teal and then at some point, it’ll be blue. I love Benjamin Moore, and their historical collection is awesome! Well, you kind of answered your own question here. The main idea being all of the variables and it’s not just the direction of the light. It’s many, many things such as, how many windows. How high are they? How high is the ceiling? What color is the floor? Are there trees outside? A Hill? Another building? And then there’s the light that’s coming from adjacent rooms. In addition the color is affected by what else is in the room. This is why my solution is to test, test, test as laid out in the guide you received. I wish there was some magic formula, but the reality is that the different variables make that impossible. This is why when someone just throws out a situation for me and expects me to just magically divine a color, it’s impossible. I might have a good guess but that’s all it is, is a guess without more information about all the things I spoke of above. I’ve been on many a paint consultation where i was SURE that a particular color would work out and when I held it up on the wall, it was all wrong. I have seen the craziest things with light and I’m sure that there’s a reasonable explanation. I used to live in a townhouse and all of them on my side were exactly the same. There were 10 in all. In 22 years, I was in all of them at some point or other. Each faced almost the same direction, yet the light in each unit was different! One last point is that you may not like the color equally on all walls and at all times of the day and night. That can happen. Then, you’ll have to decide if that’s something you can live with or not. It might be true of any color you choose if it’s a quirky room, lighting-wise. You are such a treasure, Laurel! 🙂 Thank you for all the time you devote to your followers- I just can’t thank you enough. And- now I will have to find a room in my house to try out Bunny’s favorite green!